If you’re seeking the perfect San Diego-area community, consider Fallbrook, an idyllic town about an hour north, tucked between Temecula and Oceanside. Dubbed “The Avocado Capital of The World,” this vibrant destination offers a sought-after lifestyle, with numerous exciting attractions in a stunning setting. Rolling hills and year-round sunshine make Fallbrook a beautiful place to live, and small-town charm is evident everywhere you look. Stroll through the vintage main avenue, complete with historical wooden buildings, and peruse the local shops for antiques, artisan jewelry and much more. Stop by the weekend Farmer’s Market for fresh produce, or spend an afternoon admiring unique artwork at one of the many galleries. Often referred to as “Friendly Village” by residents, this lively town boasts numerous community events throughout the year. You’ll discover activities for every taste, from world-class golf courses to local wineries. Discover some of what makes Fallbrook so special below! 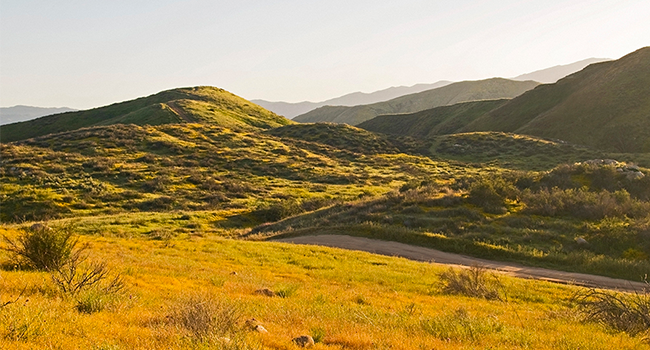 The Fallbrook Land Conservancy consists of nearly 3,000 acres, where residents can enjoy scenic walking trails, steep hikes to beautiful ocean views and everything in between. Relax under a canopy of oak trees at Live Oak County Park, where lush green grounds serve as the perfect picnic table. Two playgrounds, an outdoor amphitheater, softball and soccer fields, courts for volleyball and basketball, and a dog park will keep everyone entertained. Grand Tradition Estates and Gardens showcases a stunning escape from the everyday, with 30 acres of thematic gardens, seven waterfalls, a restaurant and even a heart-shaped lake. Fallbrook is home to four 18-hole golf courses, including The Pala Mesa Resort Golf Course, a championship course lined with oaks, sycamores and elms. The course is set against a stunning mountain backdrop, and offers an array of fun challenges. There’s no shortage of vineyards and wineries in Fallbrook, where the microclimate and rich soil make for ideal growing conditions. At The Vineyard 1924, you can enjoy tasting sessions along with breathtaking views of Mount San Jacinto— visit at sunset for an even more sensational sight. This annual event brings tens of thousands of visitors to Fallbrook, and showcases the locally grown treasure in fun and creative ways—the Guacamole Contest, the Art of the Avocado Contest, and the Little Miss & Mr. Avocado contest are just the beginning. Excited to learn more about living in Fallbrook? We don’t blame you! 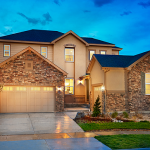 Explore Promontory at Horse Creek Ridge, where you’ll find lovely 3- to 6-bedroom homes from the low $600s, as well as a community baseball field, swimming pool, clubhouse and perimeter trail and workout stations.